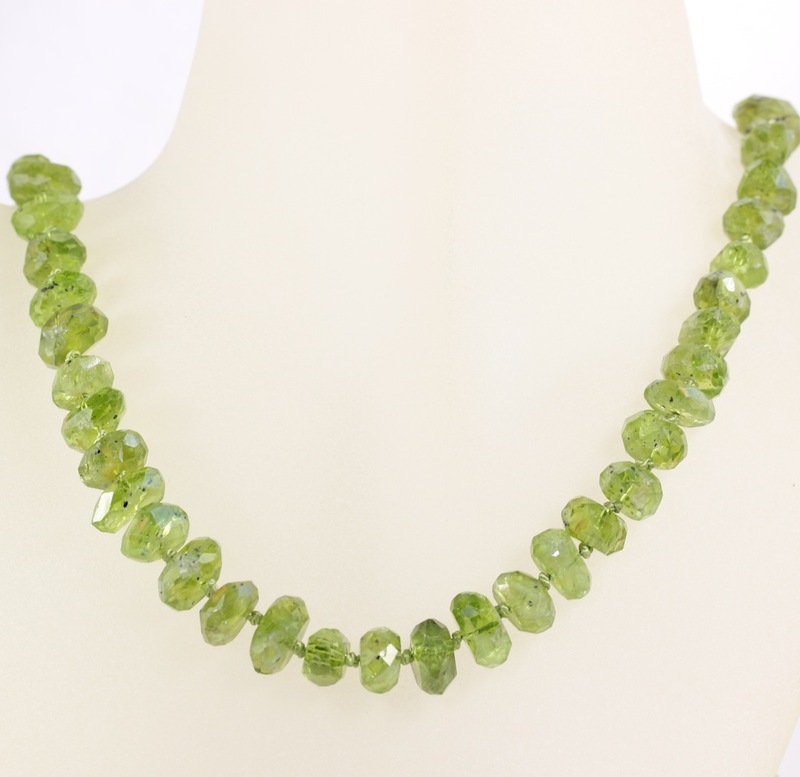 From the “Green With Envy” jewelry collection: Gorgeous strand of peridot. 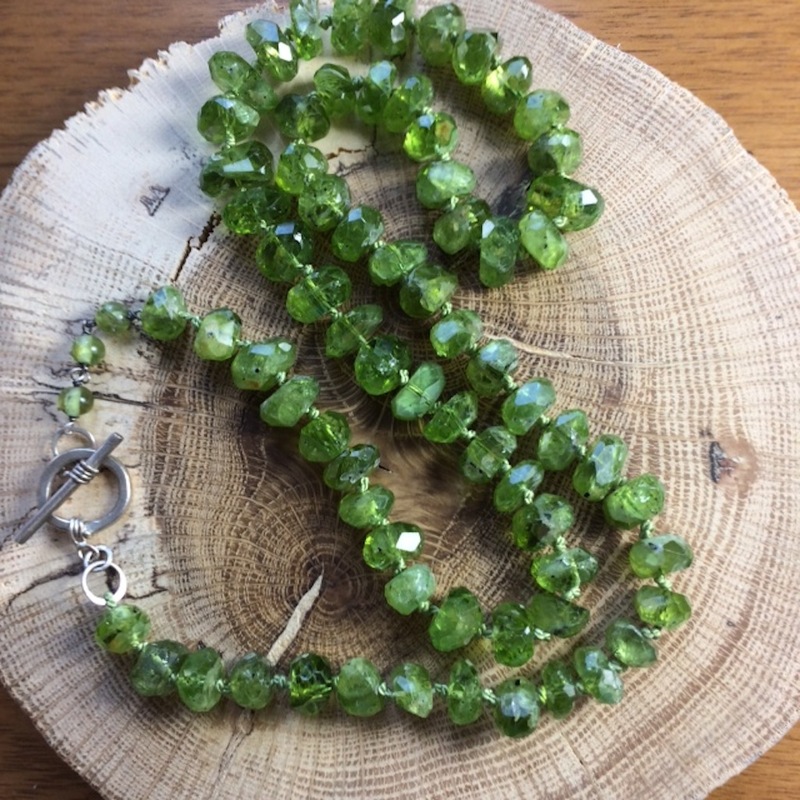 Unusual rare cut, hand knotted on green silk cord, with a handmade sterling silver toggle clasp. 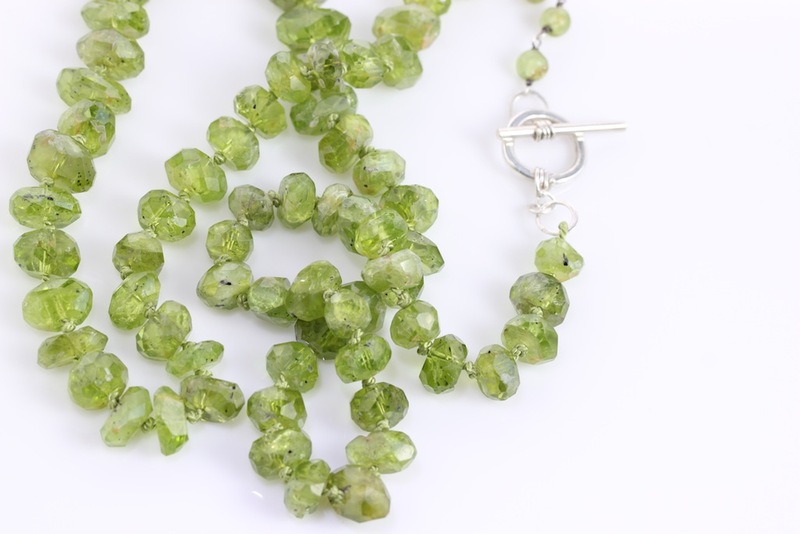 Hand knotted natural peridot strand: over 375 carats total weight! 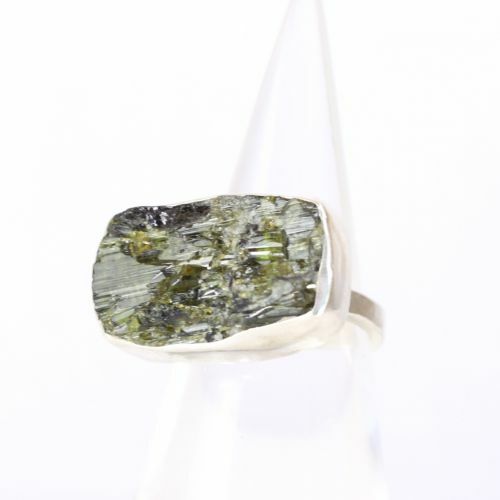 The Metaphysical Particulars: Peridot is an excellent stone for protection, especially if worn around the neck to protect from negative energy. 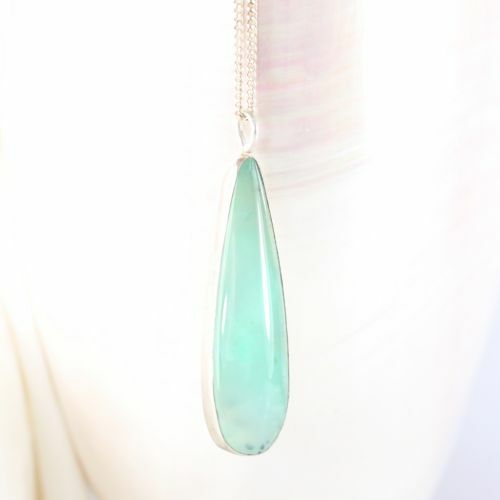 t is also perfect for the cleansing of negative emotions, such as jealousy or a wounded ego. 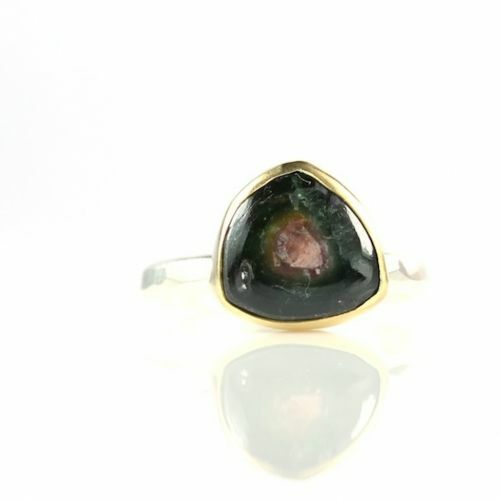 Jewelry to enhance your life! 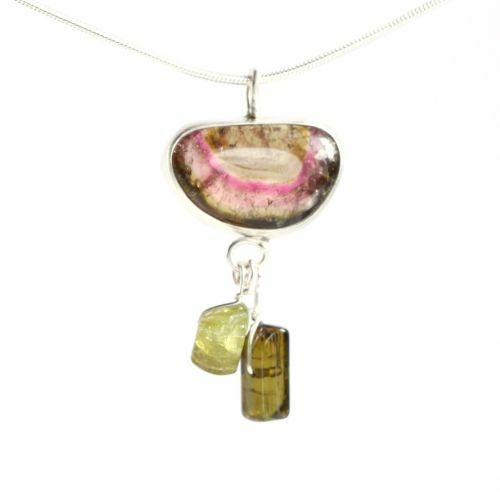 The jewelry in this shop is crafted by hand with natural rocks and recycled silver and gold.